Yes, He is our maker, teacher, and Lord; and He is the only one who can give us eternal Life. It is so appropriate for all to kneel before Him. 2. It is reacting out of a great burden for one who is lost or has a great need. And it is recognition that I can do nothing to help, that only God can help. We see this in Acts 7:60 and again in 9:40. In the first passage, Stephen, after preaching to a crowd and then being stoned, fell on his knees, and with his last words he cried out with a loud voice, “Lord, do not hold this sin against them!” Here we see clearly that Stephen, even while being stoned, was not thinking of himself but had a great burden for the salvation of his murderers. And so being burdened but unable to help he fell on his knees and cries out desperately to God. This prayer no doubt was heard and answered by God; for Paul, being the leader of that mob, was later dramatically saved (Acts 9:1-19). Then in Acts 9:40 there is the account of the raising of the girl Tabitha from the dead through the prayers of Peter. The way it actually happened was that when he entered the room and saw her lying dead, he first knelt down and then prayed. I believe his kneeling was a sign that though he was greatly burdened, he could do nothing, only God could raise her up. 3. It is an act of true worship, a way in which we show to God special honor and respect. In Old Testament times certain kings and even Prime Ministers were knelt down to and given homage. This was the case, as we see in the book of Esther, when all were under orders by the king to kneel down to Hamon, the newly elected Prime Minister. But some devout Jews including Mordecai, Esther’s cousin, refused to kneel down. For Mordecai gave this kind of respect and worship to only the true God. So much more can be said about kneeling in prayer. 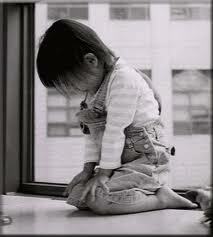 The act of kneeling tends to bring what is lacking to our mind as we pray. It gives us a more direct feeling that we are actually praying. It calls our inner spirit to attention and brings vibrancy to our prayers. It shows to God and confirms to ourselves that we mean business. 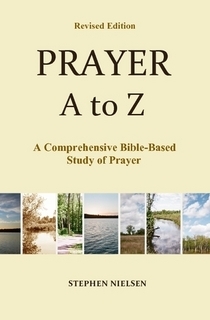 This entry was posted in Kneeling and Prayer, Prayer A to Z Excerpts and tagged prayer, prayer posture. Bookmark the permalink. it is an iietrestnng book because as we know, if we do not have is because we do not ask, if we do not have is because we do not pray.